If you're a theater fan, mark your calendars: there's plenty to do when it comes to stage performances in New York City this weekend, from a musical to Moroccan dance. 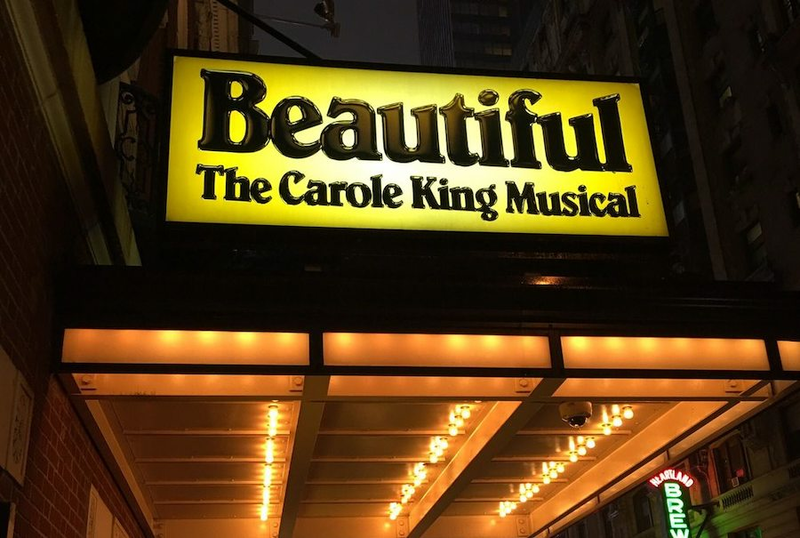 The Stephen Sondheim Theatre is hosting "Beautiful: The Carole King Musical" on Friday. The show follows the life of the singer/songwriter from when she was a young girl until her career peaked when she became one of the most successful solo performers in history. The musical won a Grammy for Best Musical Theater Album of 2015. When: Friday, Dec. 21, 8 p.m.
Where: Stephen Sondheim Theatre, 124 W. 43rd St. The Kinsey Sicks are performing "Oy Vey in a Manger" on Friday at the Soho Playhouse. The quartet will sing and act out hilarious songs that parody Christmas and Hanukkah. Some examples include "God Bless Ye Femmy Lesbians," "I'm Dreaming of a Vanna White Christmas," "Don't Be Happy, Worry" and, of course, "I Had a Little Facial." Where: Soho Playhouse, 15 Vandam St. The comic drama "Daniel's Husband" is about two men, Daniel and Mitchell, who are a couple. While Daniel wants to get married, Mitchell is against the idea. However, after a life-altering event, each must deal with the issue. Where: The Westside Theatre - Upstairs Theatre, 407 W. 43rd St.
Lastly, in this deal through Groupon, the Arabesque Moroccan Restaurant is providing guests with a chance to celebrate Christmas through the eyes of a different culture at 54 percent off the original price. In addition to serving a three-course meal, there will be a belly dancer and a DJ for entertainment. The meal will include salad, turkey and dessert. When: Monday, Dec. 24, 7 p.m.